Brightline Train Hits Pickup In Lake Worth | Schuler, Halvorson, Weisser, Zoeller & Overbeck P.A. A pickup driver escaped being hit by a Brightline train in Lake Worth, Palm Beach County Sheriff’s Office authorities said. The driver was able to get out of the truck before the crash, authorities said. The Post’s news partners WPTV NewsChannel 5 report that the wreck happened between 10th Avenue North and Seventh Avenue North. It is unclear why the pickup was on the tracks. The crash is the latest involving a Brightline train in southern Palm Beach County this year this year along the Florida East Coast Railway tracks. 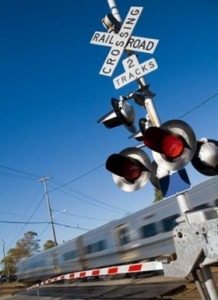 Major streets cross the tracks at multiple points between West Palm Beach and Boca Raton. The Brightline trains had struck and killed seven people in Palm Beach County since the high-speed rail company began passenger service. In addition, one other person was killed during Brightline’s testing. Brightline has said its safety and security teams evaluates areas where deaths have occurred. It started a public-awareness program to warn pedestrians and motorists to heed warning lights and crossing gates. All Aboard Florida, which operates Brightline, is owned by an affiliate of Fortress Investment Group LLC, a global investment management firm. Fortress Investment Group LLC is contracted to manage and advise New Media Investments Inc., which owns Gate House Media, the parent company of The Palm Beach Post.